As a result of collaboration between ACCME and several medical specialty boards, accredited providers (including all organizations accredited within the ACCME system/Joint Accreditation) have the opportunity to register CME activities they are already doing for MOC points/credit using ACCME's Program and Activity Reporting System (PARS). In this session, ACCME senior staff and representatives from the American Board of Internal Medicine (ABIM), the American Board of Anesthesiology (ABA), and the American Board of Pediatrics (ABP) will provide a brief-overview of their collaboration, then dedicate the majority of the session to answering questions from attendees about how to register CME activities for MOC Medical Knowledge (i.e. Part 2) and ABIM Practice Assessment points. 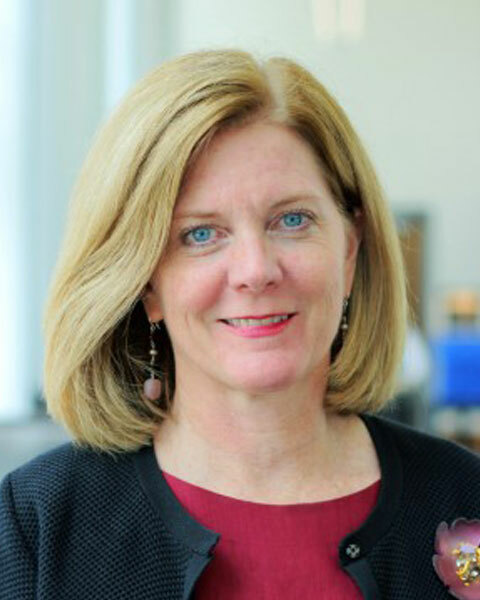 KATE REGNIER, MA, MBA, is Executive Vice President of the Accreditation Council for Continuing Medical Education (ACCME) and has been with the ACCME since 1995. Ms. Regnier oversees the processes of Accreditation and Reaccreditation for national and international providers of continuing medical education (CME), the Recognition of the US-based State/Territory Medical Societies as accreditors within their states according to the Markers of Equivalency, and the Joint Accreditation of Providers of Interprofessional Continuing Medical Education with colleague accreditors, the Accreditation Council for Pharmacy Accreditation and the American Nurses Credentialing Center. Ms. Regnier is also responsible for the review of non-US accreditors for their Substantial Equivalency with the ACCME’s system. Ms. Regnier also oversees the education, communications, monitoring, and business functions of the ACCME, and serves as the primary staff liaison to the ACCME Board of Directors. Kate received a Bachelor of Arts Degree in English from the College of the Holy Cross (1986), a Master’s Degree in English from Northwestern University (1990), and a Master’s Degree in Business Administration from Loyola University of Chicago (1995). Kate is married to John Regnier, a cartoonist/graphic artist, and they are parents of four young adults – Emma, Noah, Brennan, and Roan. Bio: KATE REGNIER, MA, MBA, is Executive Vice President of the Accreditation Council for Continuing Medical Education (ACCME) and has been with the ACCME since 1995. Ms. Regnier oversees the processes of Accreditation and Reaccreditation for national and international providers of continuing medical education (CME), the Recognition of the US-based State/Territory Medical Societies as accreditors within their states according to the Markers of Equivalency, and the Joint Accreditation of Providers of Interprofessional Continuing Medical Education with colleague accreditors, the Accreditation Council for Pharmacy Accreditation and the American Nurses Credentialing Center. Ms. Regnier is also responsible for the review of non-US accreditors for their Substantial Equivalency with the ACCME’s system. Ms. Regnier also oversees the education, communications, monitoring, and business functions of the ACCME, and serves as the primary staff liaison to the ACCME Board of Directors. Kate received a Bachelor of Arts Degree in English from the College of the Holy Cross (1986), a Master’s Degree in English from Northwestern University (1990), and a Master’s Degree in Business Administration from Loyola University of Chicago (1995). Kate is married to John Regnier, a cartoonist/graphic artist, and they are parents of four young adults – Emma, Noah, Brennan, and Roan.